I love being a mom! Diego is my whole world! But the first few months after I gave birth came with many unexpected challenges and frustrations especially when it came to breastfeeding! I remember thinking “How hard can it be?” Mmmm, turns out very hard hahaha. From trying to be ‘supermom’ and juggling both motherhood and work, I was constantly exhausted both physically and emotionally. I also struggled with overcoming nutritional depletion and breastfeeding challenges. I needed products and information that would help me and when I couldn’t find anything, I decided to make my own product. That’s when Majka was created! Today, I’m going to share with you my heart behind creating Majka as well as what makes the products so great! So, if you’re a new mom looking for good products to support you in your breastfeeding and motherhood journey, you’re in the right place. After Diego was born, I realized being a mom was not going to be as easy as the moms on Instagram made it look! I had prepared for pregnancy, but I was not prepared for postpartum and all the changes that came with it. I searched the grocery store aisles but couldn’t find products or information to help me, especially with lactation and breastfeeding. I was having low milk supply and low energy, I needed help! And I realized other moms were needing help with this, too. From this need, Majka was born! My business partner Majo and I wanted to create a product that supported new moms by aiding in lactation while giving them the nutrients that they needed to be healthy. The first product idea we had was our protein powder for breastfeeding moms. We wanted a meal replacement that would cover a new mom’s nutritional basis while also providing lactation support. I also wanted to create a community that helped new mom’s support each other. Postnatal depletion (I remember crying when my hair was falling out and I had no idea why) was something I didn’t want any mom to have to face on her own, and I want new moms to know the importance of self care. 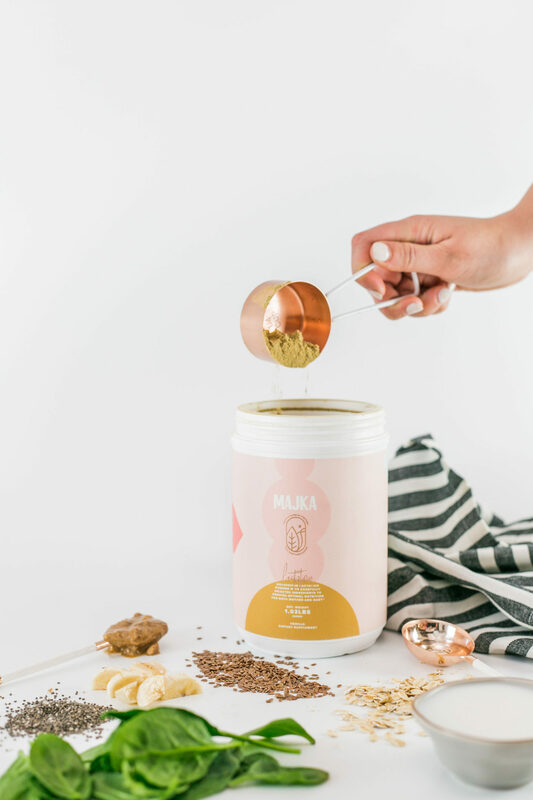 We don’t want any new moms wondering “Is this protein powder safe for breastfeeding?” and “What ingredients are in these lactation cookies?” we want moms to recognize our ingredients and feel confident taking our products. 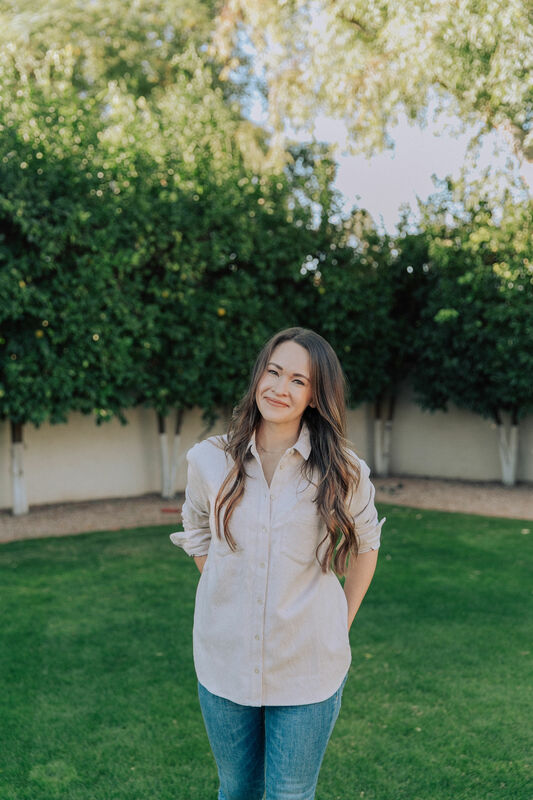 The mission and vision of Majka is to encourage and empower moms to take care of themselves so they can care for their loved ones to the best of their ability. We want to provide nutritious products they can trust as well as inform them on how important it is for new moms to get proper nutrients, particularly for the first year during postpartum recovery! Majka aims to give moms information they need to navigate the postpartum and breastfeeding time. 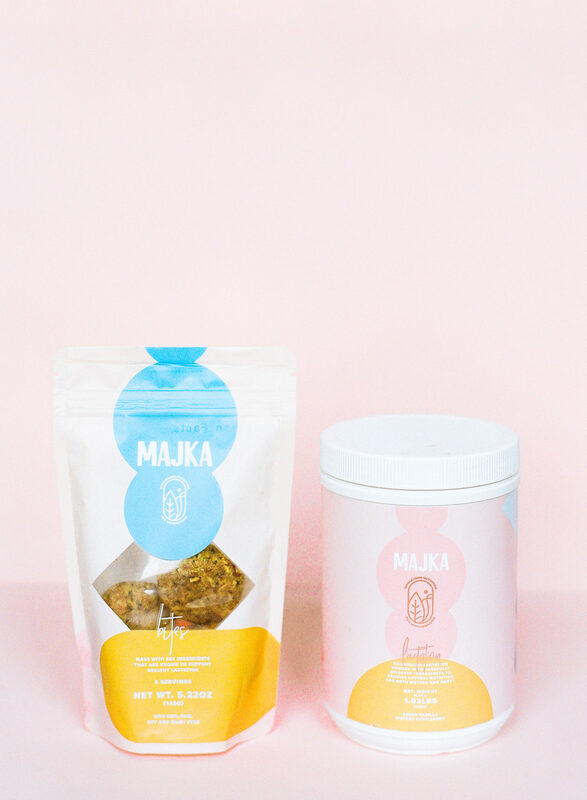 Majka specializes in two main products: Lactation Bites and Nourishing Lactation Protein Powder. Both of which contain ingredients to support the nutritional needs of new mom’s and support healthy lactation. Majka Lactation Bites: These lactation bites are nutritious, delicious and convenient! Packed with ingredients like turmeric, oats and flaxseed, fenugreek, and more, these bites give you the energy you need while tasting delicious. There’s even a chocolate flavor too! 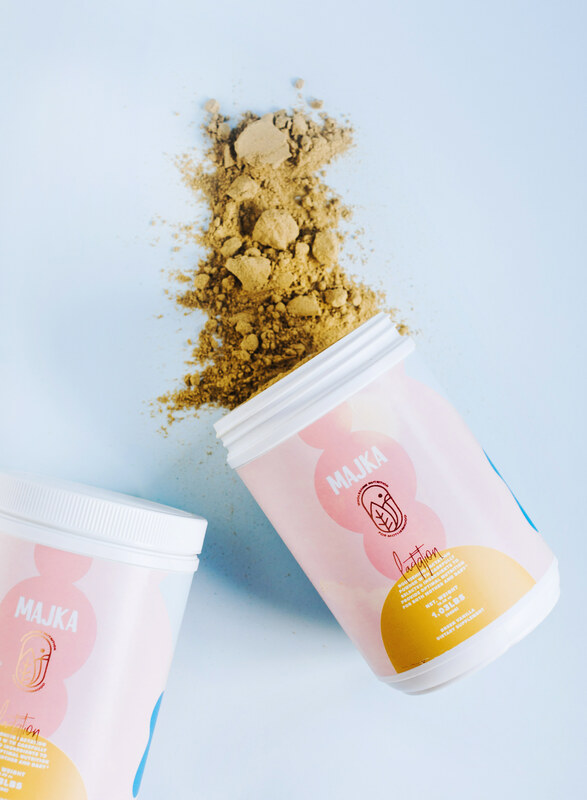 Nourishing Lactation Protein Powder: Majka’s Nourishing Lactation Protein Powder was designed by moms, for moms, along with professional nutritionists to provide mamas with nutrients they need. I love adding it to my smoothies! What Makes the Protein Powder Effective and Perfect for Breastfeeding Moms? The Lactation Protein Powder is effective for milk production because it has tons of ingredients that new moms need while breastfeeding! Here are some of those ingredients and how they are beneficial. Plant Based Digestive Enzyme Blend: The Plant Based Digestive Enzyme Blend helps prevent colic symptoms, inflammation, and food allergies in infants. They also help in the breakdown of food and nutrient absorption. Majka Lactation Blend: The Majka Lactation Blend contains all kinds of ingredients. They are: fennel seed, turmeric root extract, caraway seed, organic ginger root, sesame seed, fenugreek seed, and clove flower. Majka Fruit + Greens Blend: The Majka Fruit and Greens Blend contains over 25 veggies and fruits packed in! Eating all kinds of fruits and vegetables is good and helps reduce the likleihood of developing cancers, diseases and more. Prebiotic and Probiotic Blend: This prebiotic and probiotic blend is great for many reasons. Not only does it help in digesting the Nourishing Lactation Powder, it also helps get rid of toxins, contains anti-inflammatory properties, and more! These are just a few of the MANY incredible ingredients and benefits that the Nourishing Lactation Powder includes. Click here to read more about these ingredients and ALL the other ingredients and their benefits! There are a couple different ways that mamas can enjoy the nourishing lactation protein powder. The first way is to mix it with your choice of almond milk. Using the Majka Shaker bottle makes this simple! Both are perfect as a snack. The smoothie is especially good for breakfast or lunch and it can help satisfy sweet cravings that many moms experience. And while many women worry about weight loss while breastfeeding, you really don’t need to. Returning to your normal weight will happen naturally if you focus on fueling your body with wholesome foods! Fellow moms! What do you do for self care? Let me know in the comments!